The organizers behind LMP1, the top technoclass in prototype racing, have recognized one of its big problems. No, not that it priced itself out of existence. LMP1 racers look generic, and they may start looking more like actual cars. ACO sporting director Vincent Beaumesnil confirmed that rules to create something akin to the GTP prototypes of the late 1990s and early 2000s was “one of the options”. But he said it wasn’t the right time to elaborate on the plan. This rings a warning bell in my mind. Peugeot tried to do something like this back in the early ‘90s with their top-class 905 prototype. Originally it had fenders and lights front and rear that looked like what Peugeot offered in its showrooms. It barely lasted a season. Peugeot at first liked the idea of a pretty car that resembled its road car lineup, but when the more abstract Jaguar XJR-14 was making more downforce with less bodywork and bigger wings front and back, Peugeot quickly ditched its road car styling and copied the Jag. 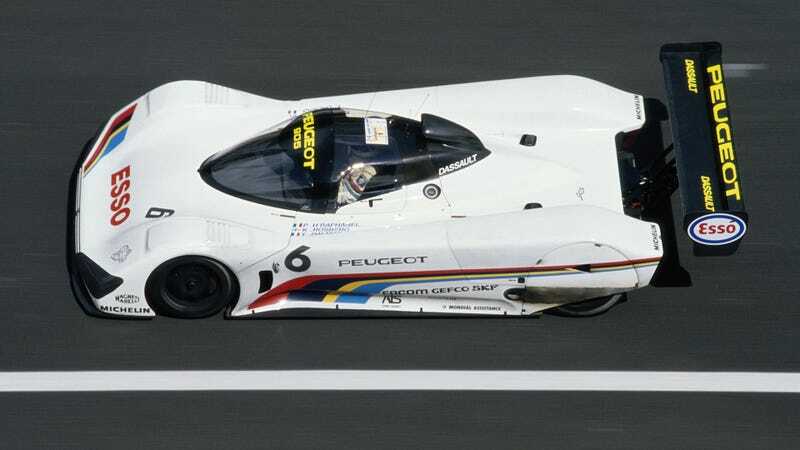 The Peugeot 905 debuted in the end of 1990, and before the 1991 season was over, Peugeot already changed the car to ‘EVO 1 Bis’ spec. It looked little like Peugeot’s road cars, but following the function-over-form look got Peugeot winning on track. By 1992, the 905 was unrecognizable from anything else Peugeot. Still, what’s more important, the health and success of a single aerodynamic design, or the health of a series? And what’s more important, honesty in functional design, or silhouette style closer to what we see in NASCAR and touring car racing?